If you’re looking for the most realistic and plush synthetic grass lawn, look no further! Our Everlast Nature’s Best lives up to its name with its unbelievable resemblance to a real grass lawn. 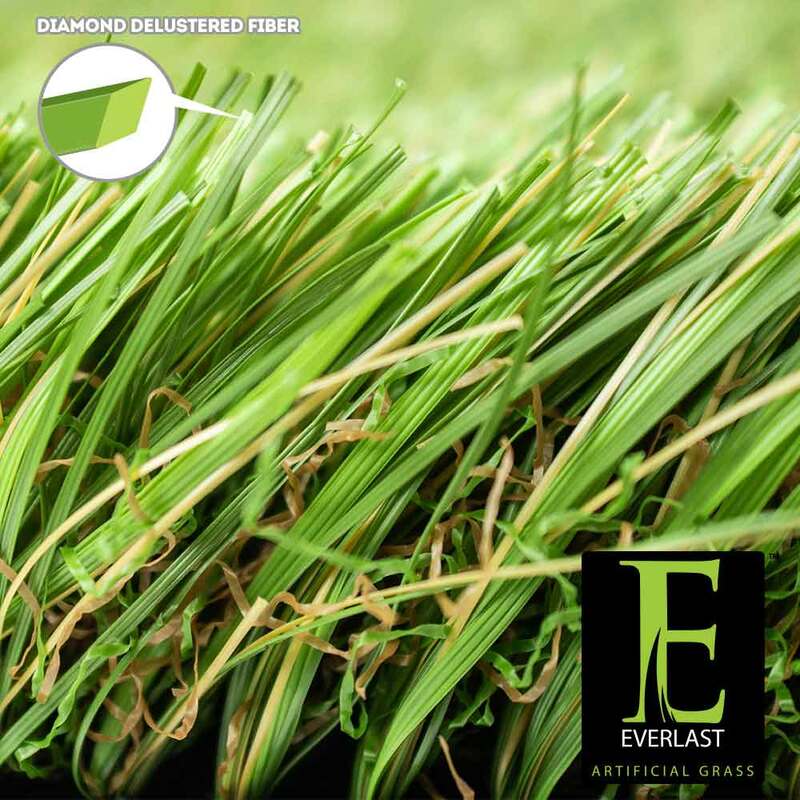 Everlast Nature’s Best emulates a natural grass lawn by featuring tall uneven blade shapes that give it a more natural and realistic appearance. This turf features tri-colored grass blades ranging from lime green, field green and brown shades, making it a perfect landscape alternative that will blend in perfectly with any surrounding environment! A hefty 80 ounce face weight makes it ideal for all moderate foot traffic levels. Each grass blade is triple reinforced within the synthetic turf’s proprietary backing through tuft bind technology. With a perforated backing that drains 30 inches of rain per hour per square yard, Nature’s Best makes cleanup an easy simple task. Minimal lawn maintenance allows you to save water, money and leisure time! All our products are non-toxic and lead free, creating a safe play area for all children and pets. Backed by our 15 year warranty, this product is an excellent choice for any landscape!